When you think of wool, what comes to your mind? Warm, fluffy, cozy goodness, right? Organic wool, is one of the best materials to have in your bedding – and we’re not just saying that. In this post, we’re going to go over some of the magical benefits of organic wool bedding. Warm, Cozy and so much more! Most people think of wool just as something to make their bed warmer during the winter. And this is true. Wool bedding is great for the winter season. But, the amazing properties of organic wool bedding go beyond that. Organic wool has no harsh chemicals added to it, is naturally hypoallergenic, anti-dustmite, naturally flame retardant and regulates body temperature. One of the biggest benefits of organic wool bedding, is it’s unique ability to absorb up to 1/3 of its weight in moisture without feeling damp. Indeed, it efficiently wicks away the one-liter of moisture vapor our bodies lose each night! The organic wool releases the dampness absorbed from our bodies during the night, into the atmosphere during the day providing a dry, warm inviting sleeping environment every night for better quality, healthier sleep. What’s more, organic wool is the only material that both absorbs and releases moisture efficiently, thereby maintaining your body temperature stable. That means no more tossing and turning in bed because you’re either too hot or too cold, or both, on and off during the night. This could be one of the reasons you’re getting less than perfect sleep. Why is it important to have body temperature regulating bedding? Because most people lose on average 2 oz of water vapor every hour of their life. When we sleep, if we are too hot, moisture accumulates, and we perspire even more. If you remove your covers to cool off when this happens, cooler air starts to dry the moisture through evaporation, making you feel cold. As you might have guessed: this is no good, for many reasons. This restless, disturbed sleep can be detrimental to the immune system and increase the production of stress hormones – not what you’re looking for when it comes to getting a good night’s rest. Because of the magical benefits organic wool bedding, it is perfect for everybody, as it adapts to YOUR body. Many couples have different preferences: some like it hot, some like it cool. 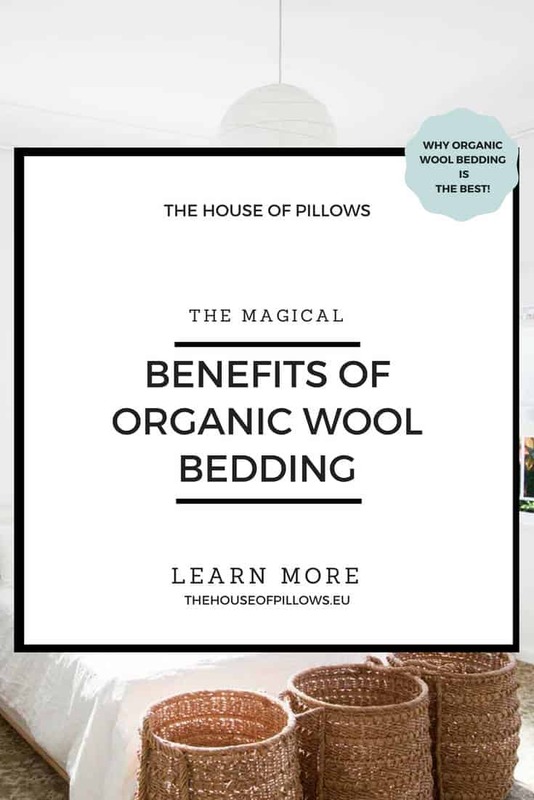 Well, organic wool creates a “microclimate”, which assists in regulating body temperatures and humidity, thus relieving the body of thermal stress, and promoting a deeper, more refreshing sleep. But, it’s important to know where your wool comes from. 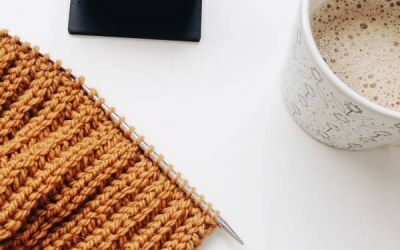 Non-organic wool can be harsh on your skin, brittle, and have loads of harsh chemicals added to it, which you might be allergic to. Only pure, healthy, organic wool will hold all the benefits of organic wool bedding, so it’s important to know what you’re getting. Organic Wool bedding is perfect for couples. Organic Wool provides an environment too dry for dust mites to thrive and survive. So, if you’re allergic to dust mites, or you simply don’t want them hanging around in your bed with you, organic wool bedding is a great choice for you! If you’re unable to wear a wool sweater without it being unbearable, you might have given up on wool all together. However, maybe your diagnosis was wrong. Most people aren’t actually allergic to wool. 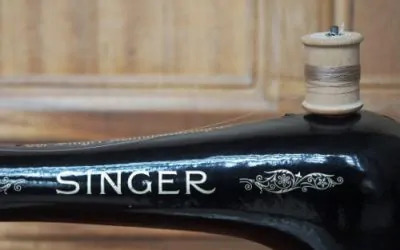 What people usually count as an allergic reaction, is actually the unpleasing sensation of commercial, chemically treated wool, which has been processed so much, that the fibres of the wool have became damaged (thus creating a brittle sensation on the skin). And, even worse, they may also be allergic to some of the harsh chemical substances. Real wool allergies usually produce rashes on the skin, and are usually contact allergies. Organic Wool is not treated with harsh chemicals, and thus keep feeling soft during the entirety of their lifetime. 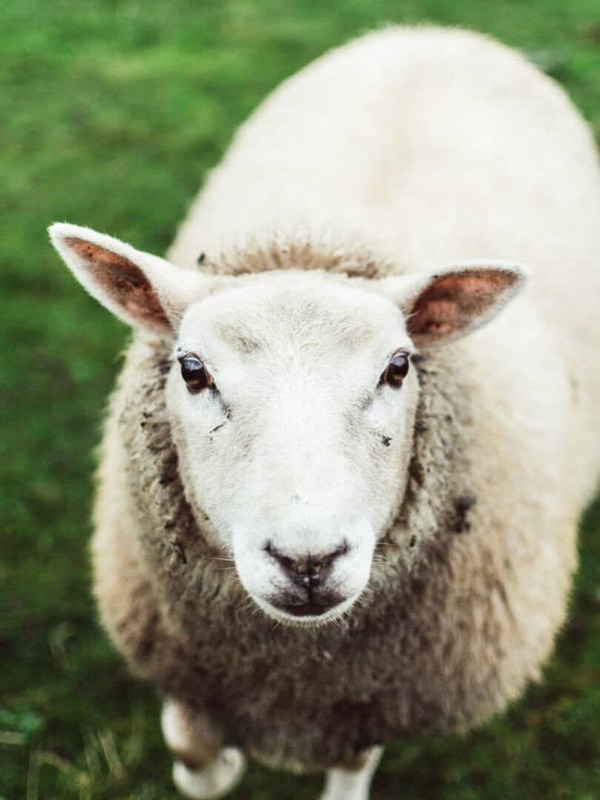 To learn more about the production of organic wool and possible allergens, read this post. What people usually count as an allergic reaction, is actually the unpleasing sensation of commercial, chemically treated wool. Organic Wool pillows come in a variety of sizes and filling levels. 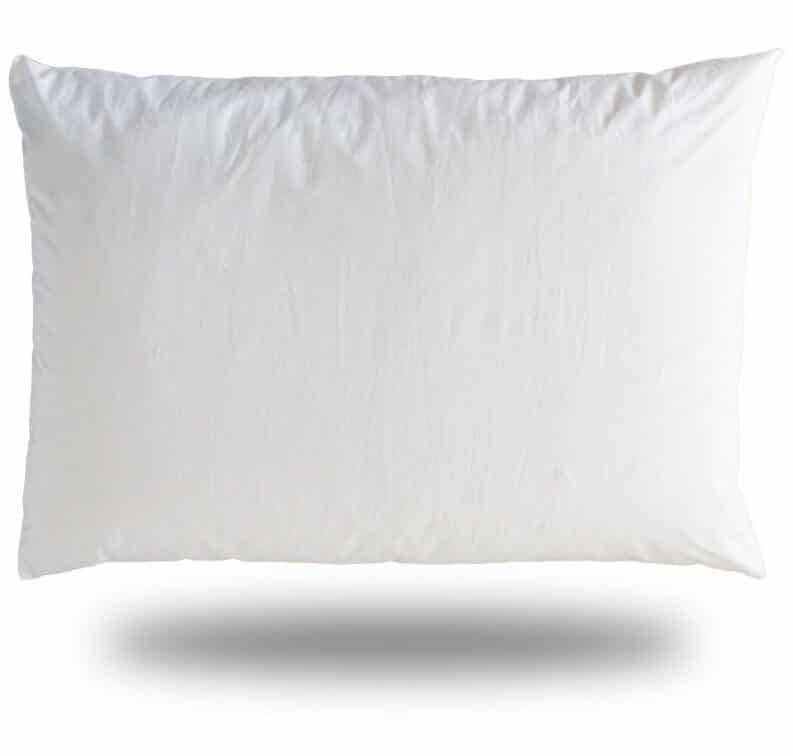 Covering an organic wool pillow with 100% cotton pillowcase will help protect the pillow from any spills or dirt, and help extend the longevity of the pillow. You can remove the pillowcase and wash it on high temperature once per week for an optimal freshness sensation. The wool filling in the pillow will reduce excess perspiration and provide year round comfort. 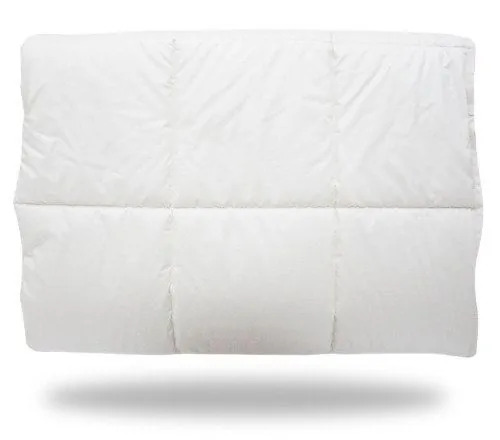 Organic Wool mattress toppers or overlays add a wonderful “cushy” layer to your mattress, and again, it will help you get a healthier and better night’s sleep as it will remove any excess moisture from your body, and keep your body at a stable temperature all night long. Organic Wool mattress toppers are also wonderful relief for people suffering from arthritis and diabetes, as it often promotes blood circulation and relieves the pressure areas that often trouble these individuals. Organic Wool Duvets are also a great choice for your bedroom. Covering your wool duvet with a 100% cotton duvet cover will give your bedroom the fashion statement you’re looking for and at the same time allow the wool duvet to breathe. Allergic to Organic Wool? Probably not. If you love and care about animals, you should read this post. 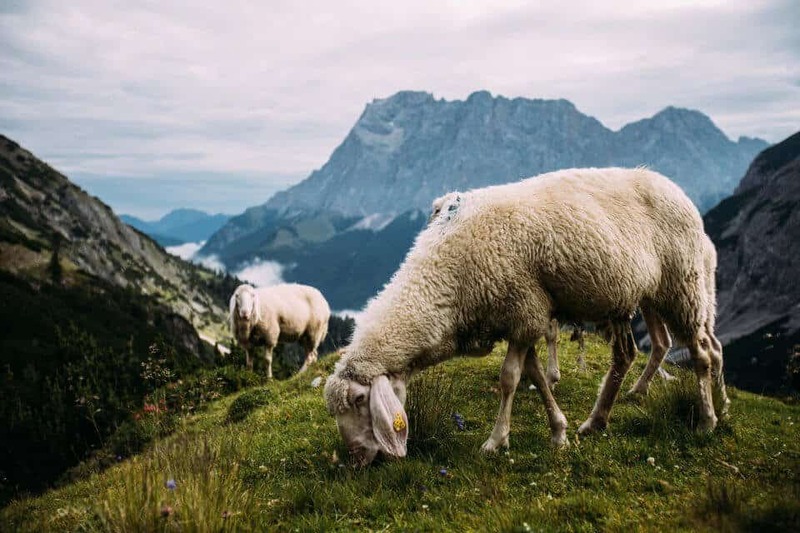 Learn about the facts of sheep farming and the different kinds of practices between organic sheep farming and non organic sheep farming. 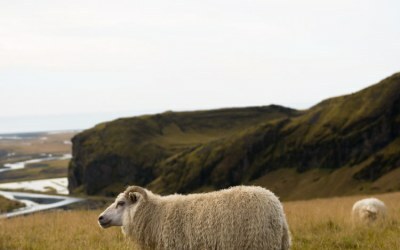 Do you think sustainably sourced Wool is an important raw material in the bedding & fabric industry? Then check out some of our products that are made from certified Organic wool!